"He found what I was looking for! He did an awesome job. When we were looking at houses, he was always honest about what repairs the home needed, because we weren’t prepared to make all of the repairs. I really appreciated his honesty!" 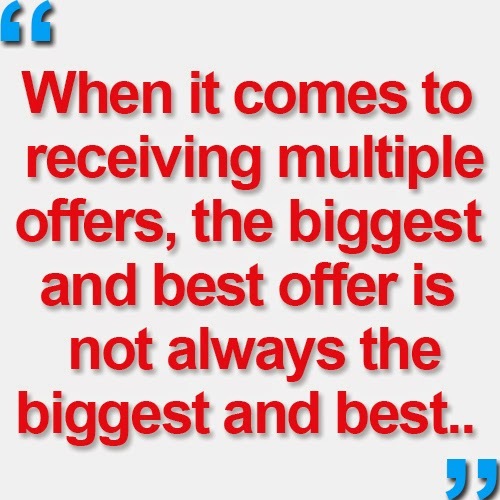 What's the Best Strategy for Dealing with Multiple Offers? Hey everybody, what I want to talk about today is dealing with multiple offers. We are seeing multiple offers at a tremendous rate in Louisville right now. Our market is hot, our inventory is low, and it's almost like they are printing money with such low interest rates out there. One thing you need to understand about the Louisville market is that competition for good homes is fierce right now. In this economy, you may get asking price or even higher, and you're likely to receive multiple offers. 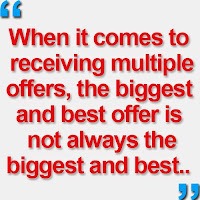 When it comes to receiving multiple offers, the biggest and best offer is not always the biggest and best, and cash is not always king. These offers need to be broken down into the particulars, like time, financing, and if cash really is cash, and not equity or a $401k. You need an expert to help navigate through all of the difficulties that arise when it comes to accepting the right offer. If you have any questions, we would love to answer them. Give us a call or send us an email, we'll talk to you soon! Is Now the Best Time to Buy a Home in Louisville? I’ll help you buy or sell your home in Louisville, KY. If you’re looking to buy a home, I’ll help you pick the right home. If you’re thinking about selling, call me and I’ll tell you what price your home is most likely to sell for. Click here to search all available homes on my website. Hey folks, today I want to talk to you about one of the questions I am asked the most: "Is now the best time to buy a home?" When it comes time to decide whether you should buy a home or not, it depends on your personal situation. But I can tell you this: the experts say yes. We know that interest rates will continue to rise. Just this last week, Federal Reserve Chairwoman Janet Yellen said in a recent address that the rate hike will come gradually, and interest rates will start to creep up come September. When you do decide to purchase a home, you are going to have to pay a mortgage no matter what. 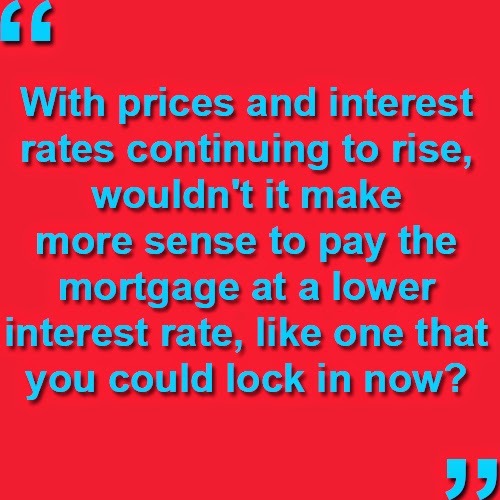 With prices and interest rates continuing to rise, wouldn't it make more sense to pay the mortgage at a lower interest rate, like one that you could lock in now? Mortgage interest rates are projected to increase. Either way you are paying a mortgage. When buying a home, you need to concern yourself with the long-term cost of a home, not just the price tag of a home. This means you need to look deeper than the purchase price if you want to make a profitable decision. If interest rates rise even slightly, as they are projected to by the end of the year, your purchasing power will take a hit. In other words, if you wait, you could be paying a whole lot more money for less home. We’re coming to an end of a long stretch of favorable market conditions. Like all good things, low rates and rapid home appreciation must come to an end. The experts seem to agree that 2015 will be the last stellar year before the market really starts to normalize. I would hate for you to hesitate, and miss out on once-in-a-lifetime conditions as a result, if your on the fence about buying or selling. If you would like to talk it over, I’m always available to chat. You don’t have to worry about contracts or obligations of any sort. Feel free to call or email any time. Looking to Buy or Sell a Louisville Home? Todd Martin has over 10 years a experience as a Realtor in the Lousiville area. Over the years, he has gathered statistics and stories that have helped him to grow as an agent and still influence how he does business today. He is a member of the Professional Standards Committee and the Louisville Board of Realtors and is dedicated to mastering his profession by offering 100% customer service to each and every client. Todd wants to help you navigate the real estate market by putting his professional knowledge, expertise, and skills to work. He is always striving to get better, adapting the newest available technology to ensure your home gets maximum exposure. Todd has been involved in over a million real estate transactions and has developed the skills to help buyers and sellers save and get the most money out of their transaction. If you want an agent that will devote his full time and attention to each and every one of your specific needs, Todd is your man. Rich - "My condo was very difficult to sell. It had been on the market last year but we took it off and then put it back on with Todd Martin. It was shown a lot of times and it was in an older building but there was just always something wrong that the buyers objected to. It was never the same issue either. Todd and Keith were very patient and advised me to stick with one contingency deal that I originally thought wasn’t going to follow through, however the advice turned out to be good advice! I really liked the web listing and how it showed how many times someone looked at it and how many times it was shown. It was very helpful information and I don’t think I could have asked for more help!" Mike - "He was very persistent in tracking down the property that met all of our requirements. We were out of town and I know on one occasion, Todd went and viewed properties on his own time without us to save us having to drive all the way down to Louisville to look at something that might not meet our needs which was a huge help. If we were to sell this property or buy another in that area I would definitely use Todd again and would highly recommend him to anyone else in the area." Cory - "Todd helped me find my first home. We had been looking for about 3 weeks or so until we found one we liked. After we found it, it was an easy and quick process.Todd did a lot of work in negotiating with the seller to get some of the prices down and to split the closing costs which we really appreciated." Paul - "We were able to find the house that met our needs very quickly which we were pretty happy about. Todd did a really good job working with my mother and having the right conversations with her. He was very sensitive towards her and was able to help her transition. " Rachel - "I found my dream home across the street from my mother’s house that was owned by an older couple going into a nursing home. They were pretty emotionally attached to it so there was a lot of back and forth and things they weren’t willing to do. Todd was very patient and always looked out for our needs." Patricia -"He found what I was looking for! He did an awesome job. When we were looking at houses, he was always honest about what repairs the home needed, because we weren’t prepared to make all of the repairs. I really appreciated his honesty!" Carolyn - “Todd is very knowledgeable and I have confidence in his skill and his trustworthiness." Christy O. - Todd made it a very easy process overall and kept me on top of everything…I love my house! Mary N. - I appreciated all Todd did for me through all red tape that only he knew the answers to. Anonymous - It has been so meaningful to have someone we could trust so reliably in this process. Thank you so much Todd for helping us find our first home.